Two new studies are gearing up at LA BioMed for IPF patients to begin mid-2019. – Principal Investigator, Dr. Harry Rossiter. 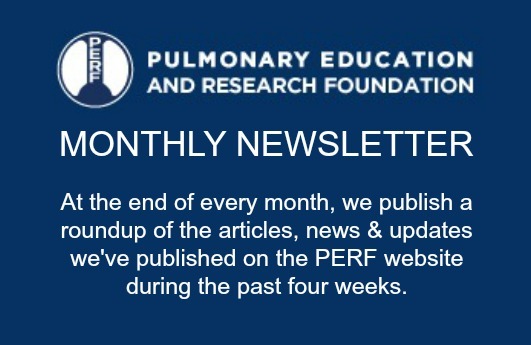 PERF board members, Dr. William Stringer and Dr. Harry Rossiter hope to identify whether reducing inflammation through exercise training – either on its own, or combined with anti-inflammatory medication – may potentially protect against lung function decline and ameliorate the negative effects of comorbid conditions. Contact the Rehabilitation Clinical Trials Center at LA BioMed on +1 310 222-8200 or see https://rctc.dgsom.ucla.edu/pages/ for more information. 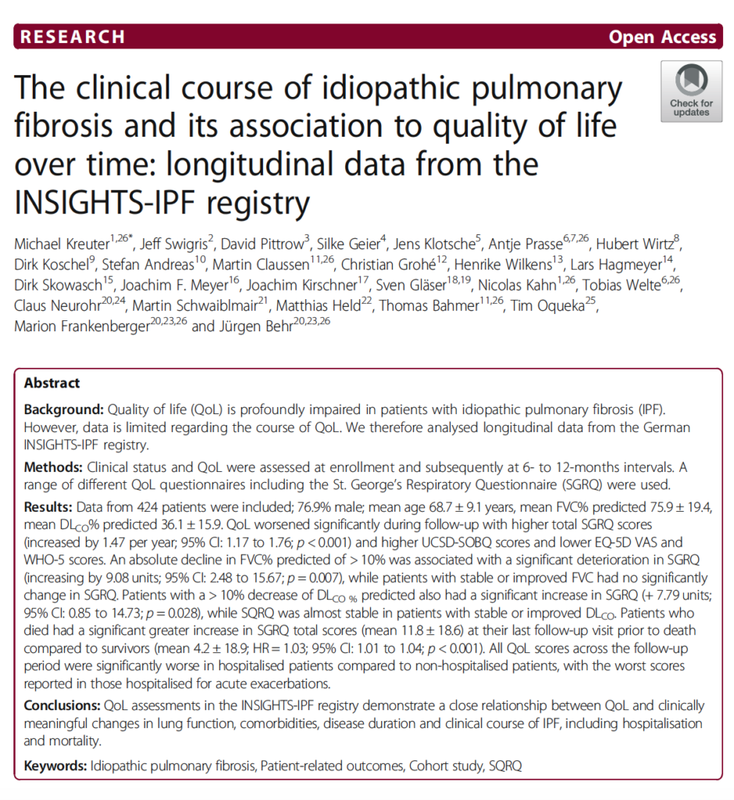 Those interested in this topic should read The clinical course of idiopathic pulmonary fibrosis and its association to quality of life over time: longitudinal data from the INSIGHTS-IPF registry. @ Gordon Strickland: How are you proof?